Trained in French Cookery and with over 15 years of experience working in some of London’s top hotels and restaurants, Anthony’s Kitchen cookery course offers a chance to learn some of the dishes that grace London’s finest menus. From French to Italian, and everything in between, Anthony’s Kitchen specializes in Western cookery aimed at those who have a passion to learn more about seasonal produce, creative cookery methods or for those who just want to learn some recipes for a dinner party menu to impress your guests. 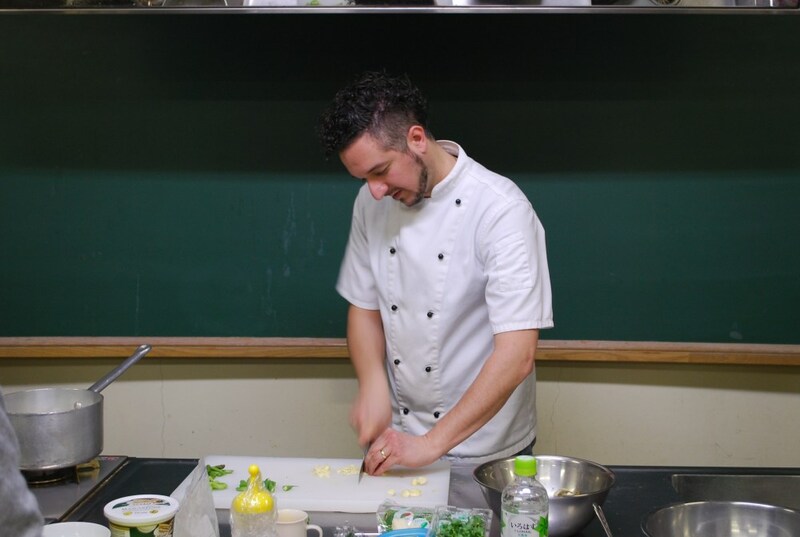 Anthony’s Kitchen cookery course is taught mainly in English, however Japanese is used too. If you are interested please click here to book onto one of the courses. Looking forward to having fun cooking with you all. Ciao.